Few days back there was a food event where in the host called upon for Pakora recipes and being a sindhi I have no reason not to participate in that, coz Sindhis are world illfamous famous for their love for crispy pakoras , fritters, Tikkis etc, basically anything deep fried. But I wanted to make something special….something which is closely associated to Sindhi cuisine, is something unusual yet delicious….My thoughts wandered from Palak pakora to mix vegetable pakora but I wasn’t satisfied.Then after spending many days in deciding what to come up with, I zero in down on Bhee Ji Tikki….a stuffed lotus stem, coated with chickpea flour batter and deep fried. Yes… my father grabbed some Bhee from God- knows- where and my mother made the tikkis from them and send them to me. No marks for guessing how much I enjoyed these! Now take each piece of boiled kamalkakdi, slit it vertically and stuff the mixture properly. Dip it in besan batter and coat it properly. Well, to mark the occasion of Indian Independence day which falls on 15th of August, Pooja asked every participant to write something about India, its culture or its history. please could you mail me recepie for preparing sindhi sweets like khorak and tosha. This recipe sounds fantastic. I am in search of a recipe of Bhee wali kabab. I have eaten this in Delhi ages ago and now I am desperately searching for this recipe. The kebab are oblong shaped,deep fried, but I am just not sure about the ingredients other than bhee . If you do know, appreciate if you would post it. 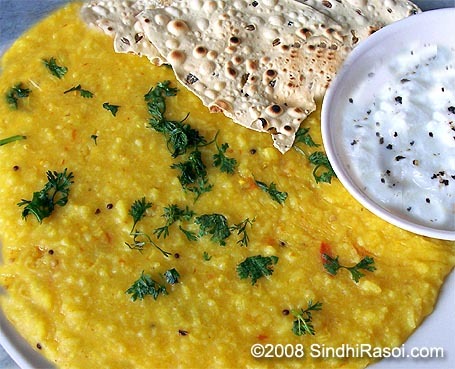 its just a life saver for me ….. coz m leaving alone n dont know how to cook sindhi dishes… THANXXXX!!!!!!!!!!!!!!! and put more pictures of sindhi food stalls from ulhasnagar/Sindhunagar. I have also not tasted this one before. Actually in south india, especially Tamil Nadu, the lotus stems are dried in the sun mixed with salt and preserved. This can be deep fried in oil, like chips, whenever required. So that’s my only experience with lotus stem. And you are also lucky to have your mother around to satisfy your cravings. Now I’m also enjoying my time with my mother who is visiting us for 5 months here. Lovely looking tikki….never seen lotus roots tikki..this looks wonderful..
Lotus stem tikkis sounds new and looks awesome. i used to go to kailas parbat to eat all the bhee dishes there – bhee chole, bhee this and bhee that. and now we make oven chips out of them. we adore this tuber. Not sure about rules of Brillante award. Guess you just need to pass it on to someone else. Some have given it to upto 4 people. What a stunning tikki! This calls for an award. Please visit my site. now if someone would make it for me and send me 🙁 i have never seen lotus roots in my neck of woods! you are one lucky girl Alka. thanks for your another nice entry. Happy Independence day to you too. those bhee tikkis look delicious, Alka. I remember this song, punchy & funny! Is Beh ji tikki part of the regular sindhi cuisine I wonder? The dish is awesome!